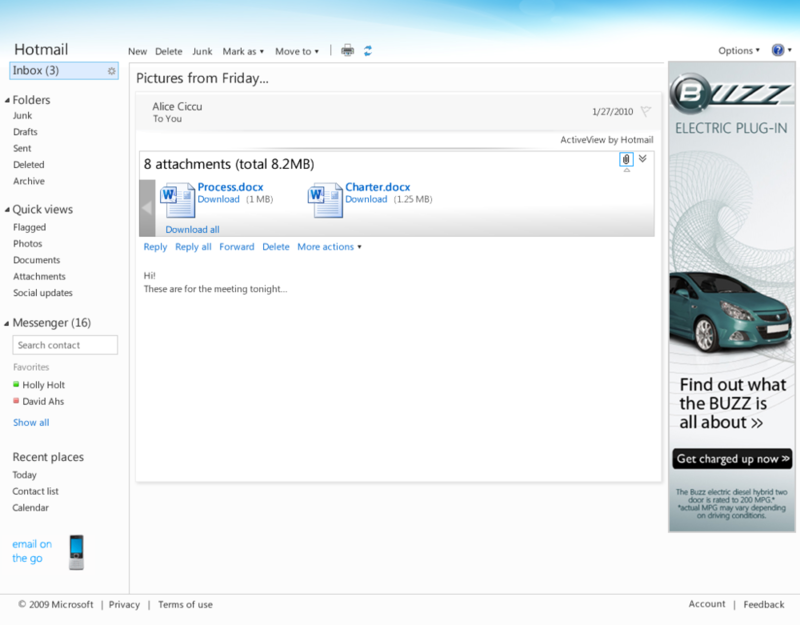 This design resulted from my work on Hotmail Live Views. Once the design for Live Views began to mature, we realized that we needed to unify the concept of the existing attachment well with how we were presenting other relevant information in the mail. 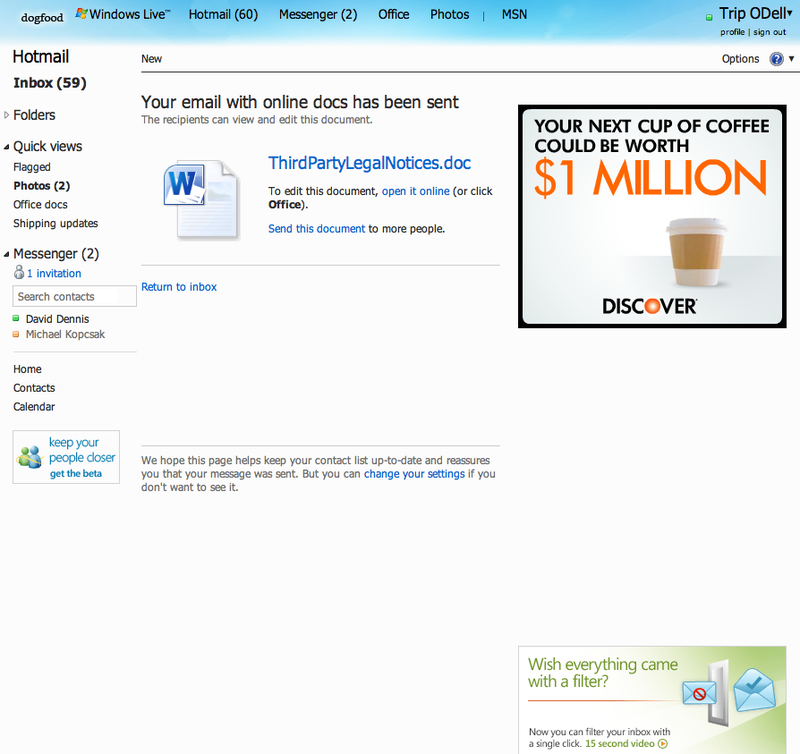 Our argument was more often than not, if an email has attachments, the mail is about the attachment (photos, documents, etc). That information should be presented as richly as any of the other Live Views we were creating for video, photo, and shipping URLs. 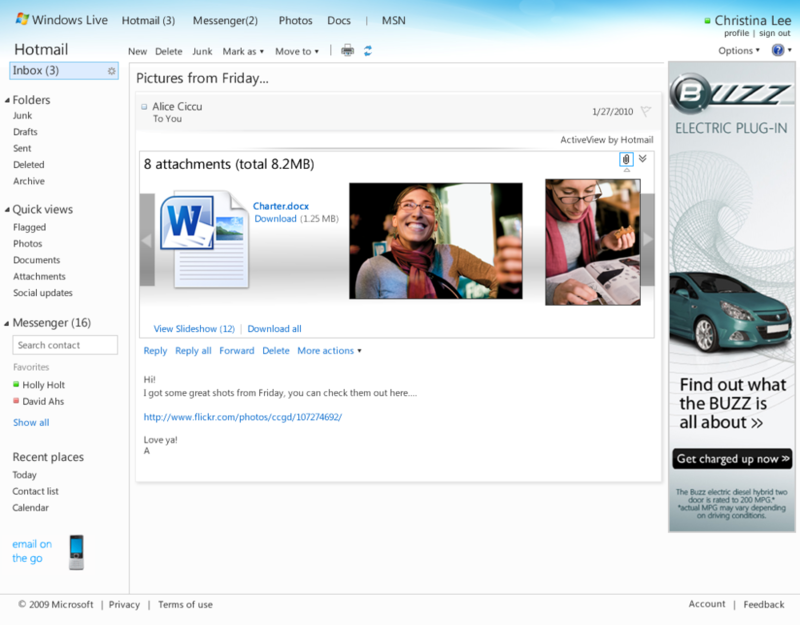 This design resulted from my work on Hotmail Live Views Once the design for Live Views began to mature, we realized that we needed to unify the concept of the existing attachment well with how we were presenting other relevant information in the mail. Our argument was more often than not, if an email has attachments, the mail is about the attachment (photos, documents, etc). That information should be presented as richly as any of the other Live Views we were creating for video, photo, and shipping URLs.